INCLUDED: Doc Warner’s offers 6 nights lodging and 5 full days of fishing. Lodging, meals, fishing, transfers, and more are included. PRICES: For standard room accommodations and 3-4 guest per boat, the price is $3,000 + tax per person. In a deluxe room with 3-4 guests per boat, the price is $3,150 + tax per person. 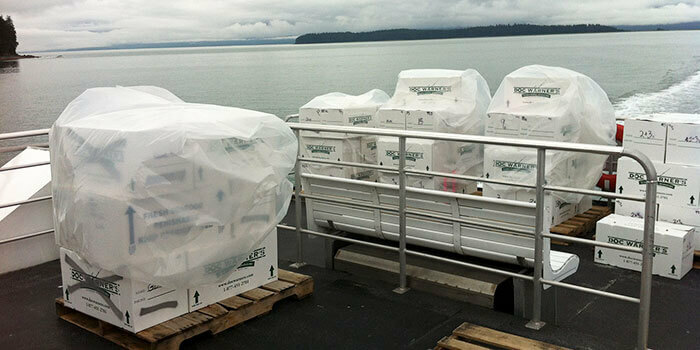 If you prefer to fish 2 per boat, there is a $150 surcharge per person for the week. 100% REFUND: Doc’s has the most liberal refund policy in the industry. We offer a 100% refund, period. Just let us know when you know, and we will be happy to refund your money or roll it to a future booking. 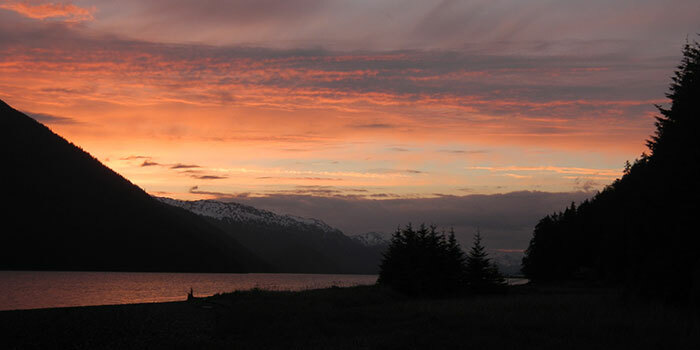 NEEDS AND ABILITIES: Carefully consider the abilities of the people who will be coming to Alaska with you. All who fish are not created equal in ability, stamina, and size. A group of 20 to 40-year-olds, in good physical condition, can wade streams, climb mountains, row boats, and generally fish for long hours. 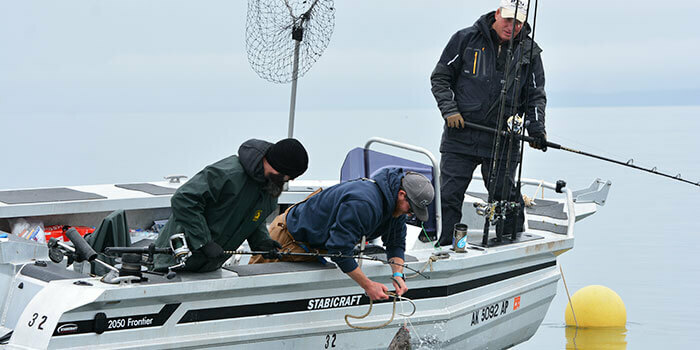 RUN TIMING: Run timing refers to when the fish will be in the area where you will be fishing. If you have a particular species that you want to focus on, run time is critical. 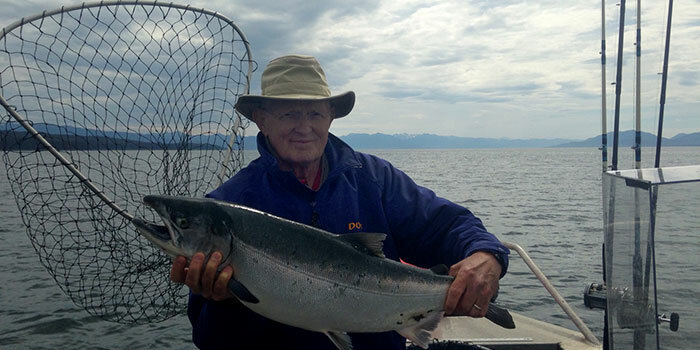 If you want to catch kings (Chinooks), then come in the spring and early summer because that’s when they are moving through our area. 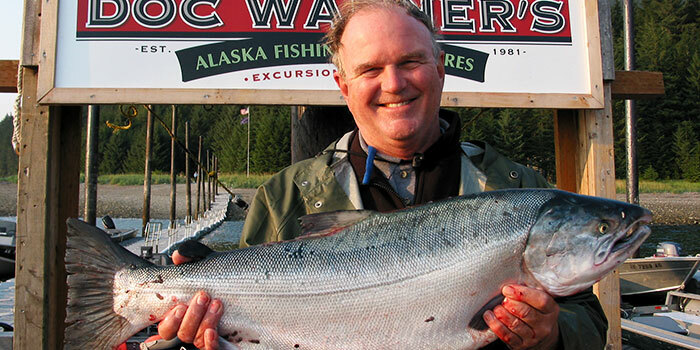 SELF GUIDED VS. CHARTER BOAT: In protected areas like Doc Warner’s, all you need to be a great captain of your own boat is good, consistent help on the water until you are familiar with the area and catching fish. At this point, it becomes your fishing trip and the experience of a lifetime.